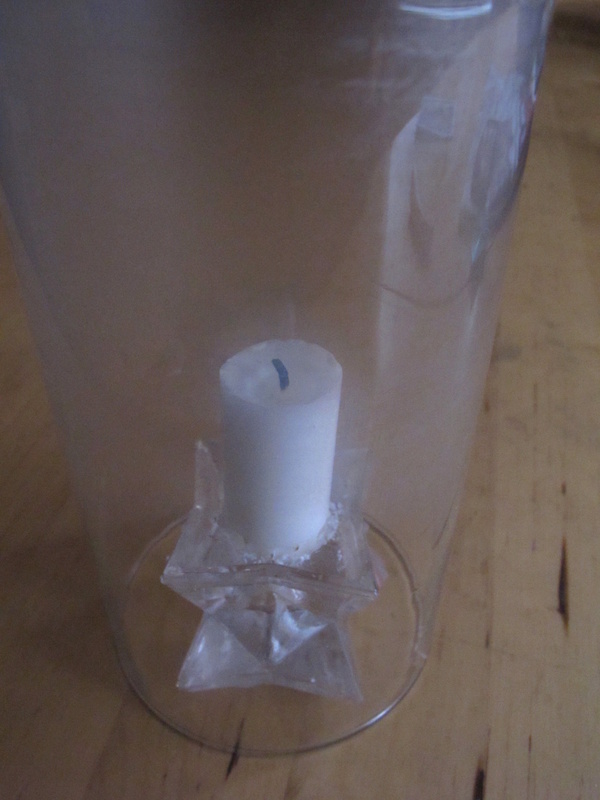 Watch a candle burn, put it out by removing air, and discuss the chemistry of what makes it burn. Also relight a candle from above the wick. Students draw the candle while it is burning. Help them notice the different colours of the flame, the liquid wax below the wick. Talk about what is happening to the wax. Solid -> liquid -> gas. The solid wax melts with the heat of the flame, and the wick draws the liquid wax up by capillary action. Once the wax is a gas it can burn. (Older students: a candle is paraffin wax, a mixture of alkanes (hydrocarbon) with average 25 carbons). What does the candle need to burn? 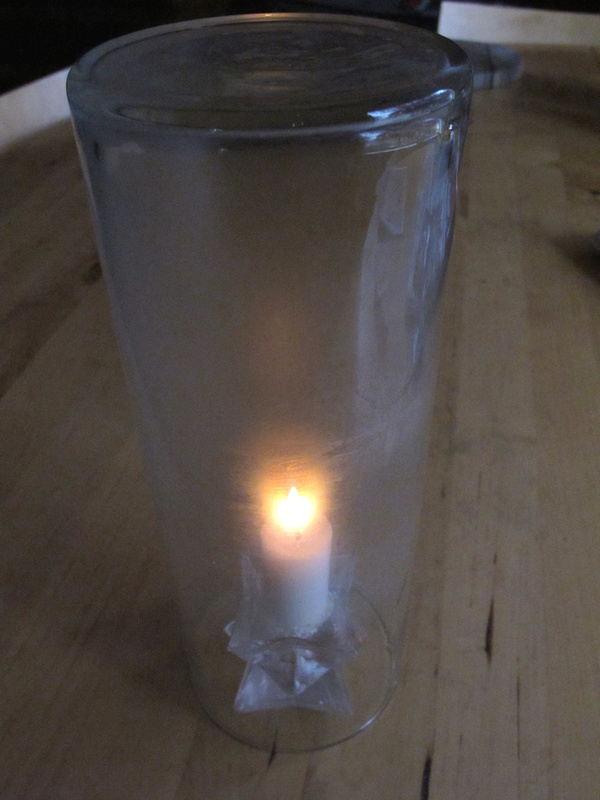 Show what happens when a vase is put over the candle to help students think about it: the candle burns for a while then goes out. The wax needs oxygen from the air to burn. Also note that water condensation builds up on the inside of the glass. The molecules in the candle wax and oxygen from the air combine and rearrange, and release heat and light as they do so. 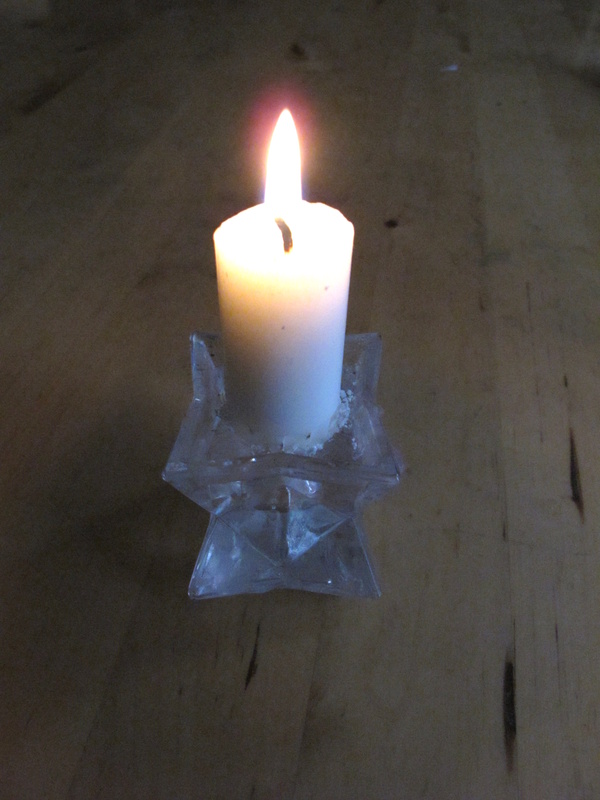 Once the flame has been lit, it can be relit, and blown out from a height above the wick. The wax vapour still in the air ignites, which then relights the wick. The flame must be quite big for this to work. The flame is a mixture of hot gases, primarily CO2, water vapour, oxygen and nitrogen. The yellow colour of the flame is due to soot particles glowing because they are hot (black body radiation). Other colours in the flame are from transient reaction intermediates during combustion such as the Methylidyne radical (CH) and Diatomic carbon (C2). 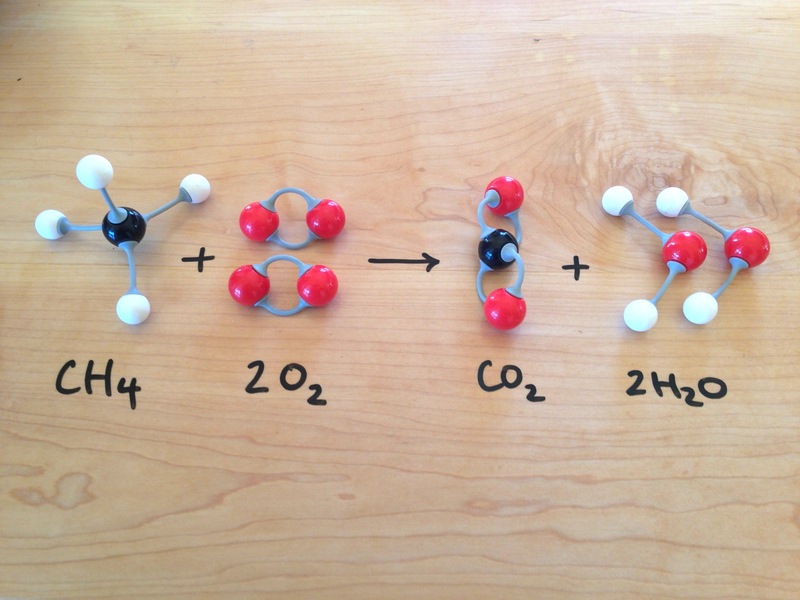 These molecules are excited, then emit blue and green visible light (spectral band emission). Try the candle see saw.